It was a Wednesday, and our first full day in Kauai. 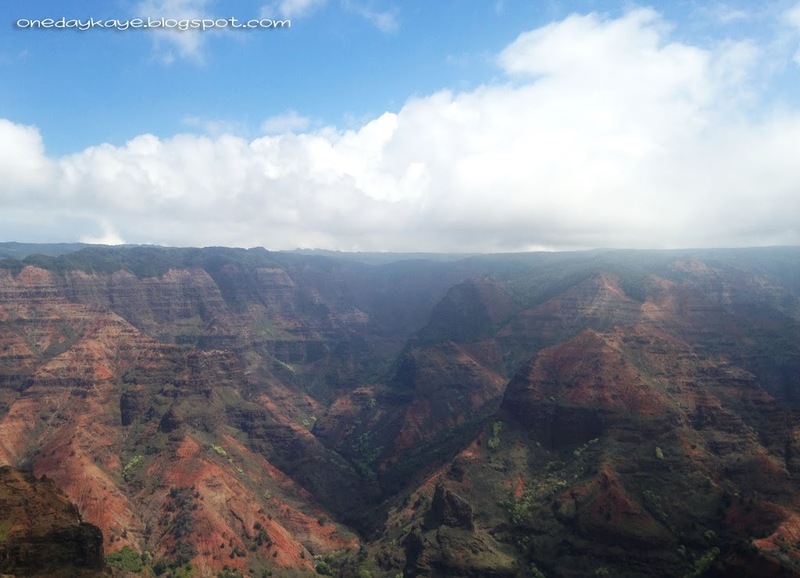 We planned a hike around the Waimea Canyon, and then have a peek at the Kalalau cliffs, one of the most beautiful and remote areas on the island. We knew we couldn’t attempt to hike the latter trail, because it spans 11 miles and usually requires overnight camping; but we wanted to have a glimpse of it anyway. We had gone around the Kōke’e trails of Waimea, having gone as far as the Waipoo Falls, and were back on the road by 2:30 in the afternoon. 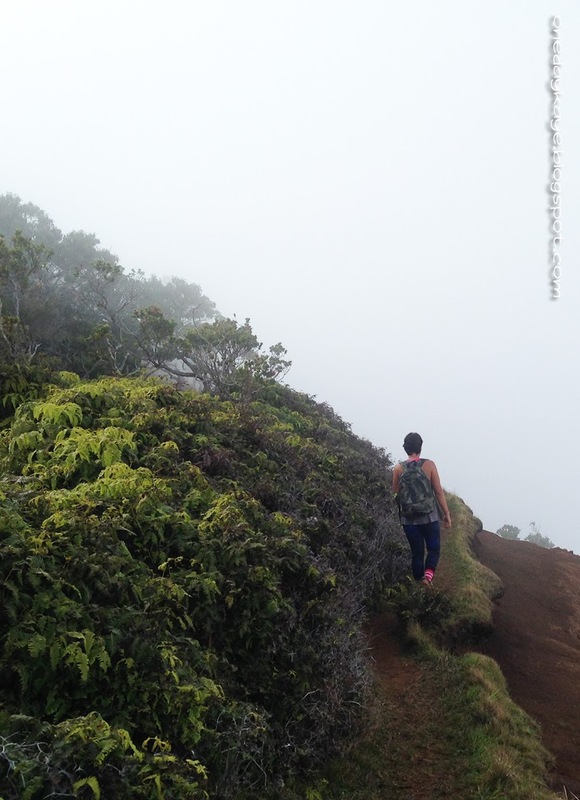 By the time we got to the Kalalau Lookout though, the day had turned foggy and the entire range was covered by a sheet of white. For a tourist spot, there were hardly any people, possibly discouraged by the obscured view. 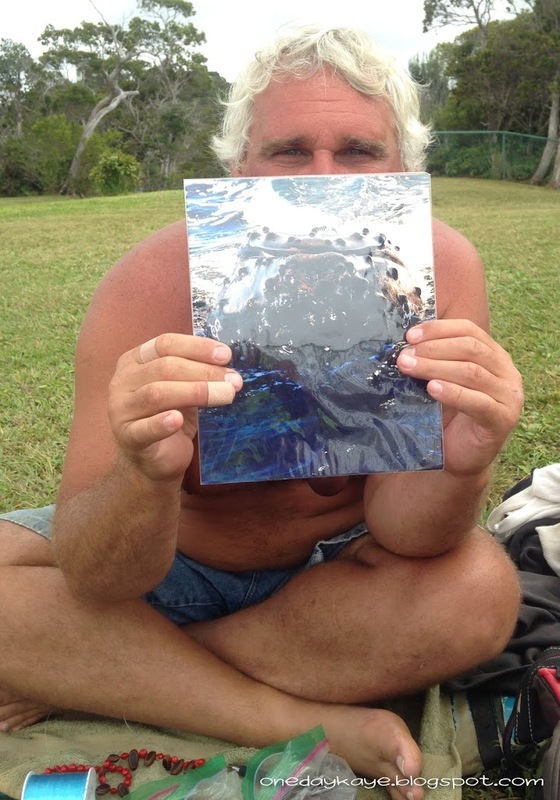 Luckily, we met David, a quirky man sitting on a mat in the middle of the lookout, selling his own photographs of Hawaii and making bracelets, earrings, and necklaces from local seeds and stones. 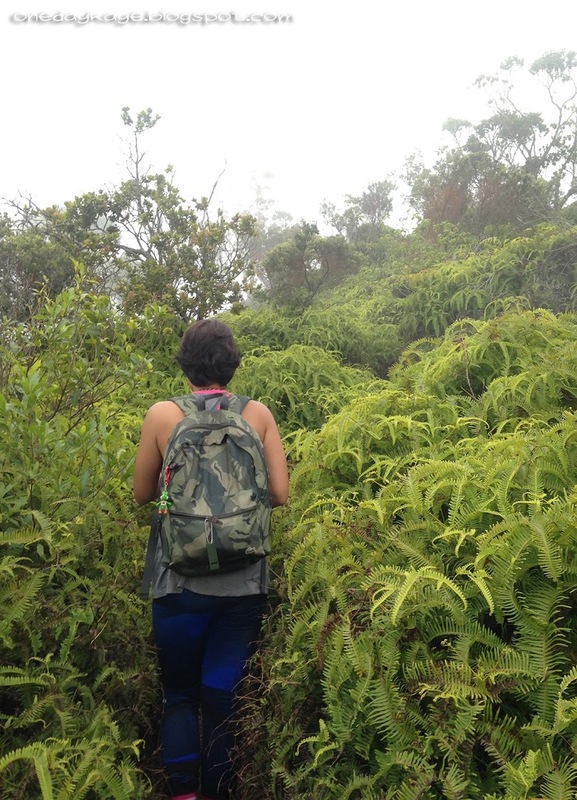 Aside from making good conversation (and entertaining us by sounding like Crush from Finding Nemo,) he tipped us off on an unofficial trail that may take us below the clouds, where we could hopefully see the Kalalau landscape. He vaguely pointed at a hedge to the side, and told us to try to be back before sundown. Did this mean it was forbidden? My favorite part was when we suddenly found ourselves in an enclave of trees. 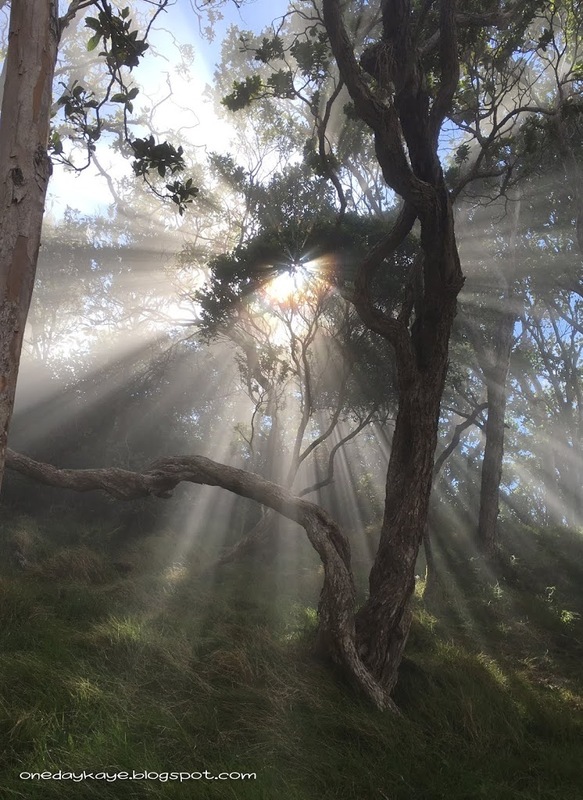 The sun was just peeking through the canopy of foliage, bending outward and forming the most glorious halo. Coupled with the thick, white fog, it reminded me of those enchanted forests I used to read about in fairytales. We took a breather, as we had probably been walking for half an hour at that point, and only continued on after trying to capture the scenery many times on our phones’ cameras. We went for a couple more kilometers, until we decided to turn back because it didn’t appear that the clouds would thin; and since the trail was somewhat perilous, we didn’t want to risk running out of sunlight. When we were back at the lookout, I realized I had misplaced the sunglasses I borrowed from my friend, and I quickly recalled removing them to take a jump shot somewhere at the far end of the trail. On principle, I volunteered to go back and get them on my own. I ran. I was doing good time, and had reached the beautiful clearing in less than 10 minutes, when two women emerged from the other end of the path. I don’t normally make small talk, and I’m very awkward with strangers; so I surprised myself when I spurted, “This is my second time on this trail today, because I left my friend’s sunglasses somewhere up ahead.” They both smiled at me, then glanced somewhat incredulously at each other, and one of them said, “That’s so funny…” while she reached back and pulled the very sunglasses from her pack. She said they picked it up thinking one of their friends had left it, as they frequent the place. We made our introductions, while gushing at the small twist of fate that saved me from searching pointlessly for the shades that were already in their possession. Considering how fast I was running along the trail, I could’ve easily zipped past them without making any contact; but I stopped and uncharacteristically initiated a chat and got the best ending I never would have expected. After thanking them profusely, I ran back to my friends, excited to tell them what just happened. I found them on the lawn, practicing some acroyoga, and they were surprised that I was back so quickly. I told them about the small miracle that just happened, and it made for a great story. Some time later, the two women stepped out of the fence, allowing me to introduce them to my friends. 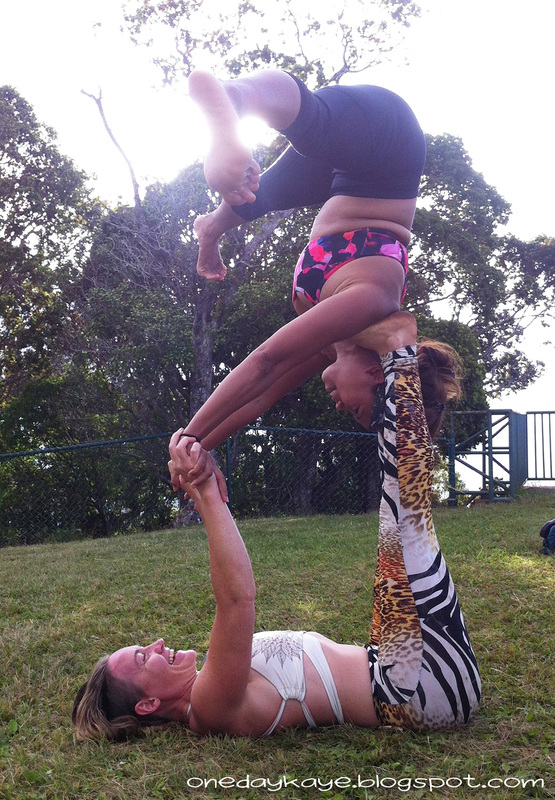 Turns out, they practiced acroyoga themselves, and we got to play with them before we parted ways. It may seem like a small thing to some, but it was so significant to me because there was undeniably providence at work in those moments. Maybe we don’t need to wait for miracles to happen to us, maybe we can make everyday miracles happen when we follow our instincts, do things out of our comfort zone, are thoughtful of others, and make new connections. Those were the things that turned a seemingly innocent, chance meeting into an extraordinary event. May you fill your week with miracles! 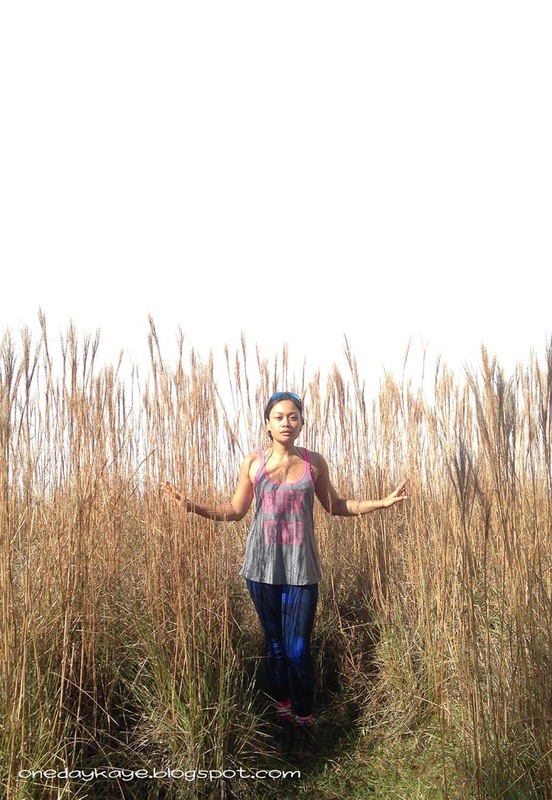 One of the angels I met that day was Snow, and she is the founder of this great wellness movement called Wild Women’s Way.